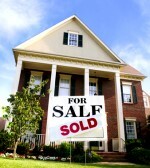 How to Sell Your House AS-IS Quickly and Easily! and close on the date of your choice! We Solve Real Estate Problems! Looking to sell? If you have a house for sale or considering selling, you should know there is another viable option to a traditional listing. You can sell your house fast, typically at close to full value, at a fraction of the cost (and time) of using a conventional sales routine, by letting us buy your house from you direct! We have a long-term "buy and hold" approach. We can usually offer you a sale price higher than you could ever hope to get from any other buyer. Contact us now...first, before tying your house up with a real estate agent listing or trying to sell it on your own.